You must make reservations at least 5 minutes in advance of the time at Bacchus Wine Bar & Restaurant. We offer complimentary valet parking 5 nights a week. Additional parking is available either on the street or in the Augsberger parking ramp behind the restaurant on Franklin St. Friend us on Facebook for special event notifications. Visit our website at bacchusbuffalo.com, and click the Private Room tab. Packages and pricing are available at the bottom of the page. Our meal was delicious and our server was outstanding! 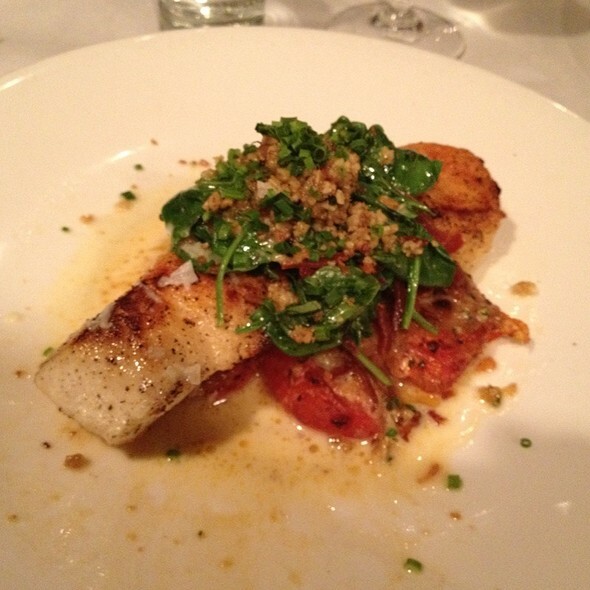 We hadn’t been to Bacchus in a while but now we can’t wait to return! DELICIOUS & amazing food! We had to spend a night downtown Buffalo and happened to stumble address this place. The food is exquisite . Everything is handmade, even the crackers in the cheese plate. We shared some of the small plates and had ana amazing dinner and experience. Also discovered Lambrusco wine...a must do! Excellent food as always! The Ahi Tuna was beyond expectations as well as The Creme Brulee Cheescake. I highly recommend this place! Excellent service from the host to server to the valet - food is always excellent! Have always enjoyed Bacchus. This past Saturday they took our appetizer plates and immediately served our dinner. Waitress apologized but we had to relax a bit before eating causing food to be just like warm. When I made the reservation I noted that we were celebrating a special occasion. We were pleasantly surprised to receive glasses of champagne to celebrate our anniversary when we were seated. We were also pleasantly surprised to find a Riesling from the NY Finger Lakes (our favorite region for Riesling) as well as from the Mosel River region of Germany. Our seating was spaced sufficiently to allow us privacy. Which in some restaurants comes at a premium. Service was timely and friendly.. Checked on us at regular intervals and kept our water glasses filled as well. Overall an excellent meal and experience. Lovely evening, great food. Waitress was very attentive and friendly. Went for restaurant week and it was worth it! The food was amazing. Rib eye was perfectly cooked and melted in your mouth. 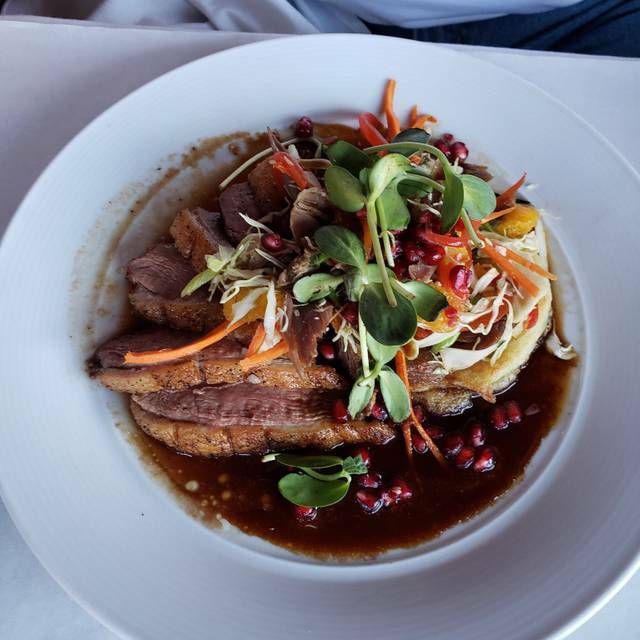 We reviewed the menu prior to our reservation and I had my heart set on the duck. 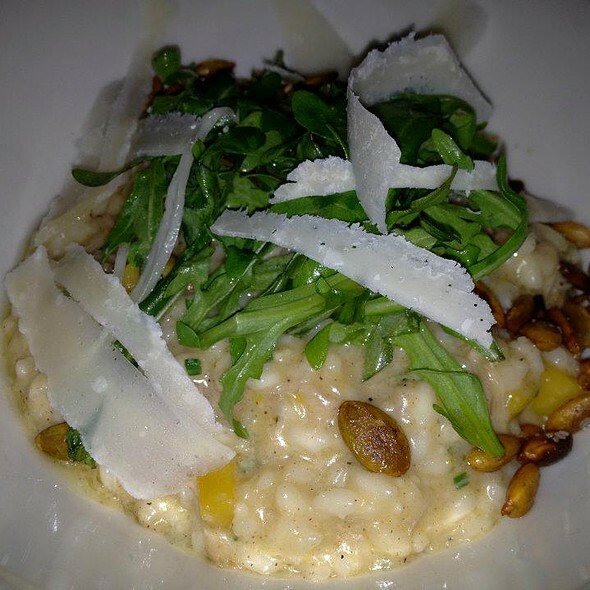 The restaurant week menu stated it was to be served with butternut squash risotto. The night we went it was being served with beet risotto. Being that I’m not a fan of beets, I asked if I could substitute the herb risotto which was being served with another dish. I was told I could, but for a $10 up-charge. I thought this was a hefty up-charge so I went with another item on the menu. It was good, but it wasn’t duck. While working in Buffalo, a friend and I went to dine at Bacchus, as we had walked past the night before and thought it looked charming. We made reservations for two at 5:15 thru Open Table. As I recall those were the latest times available to us- which made little to no sense once we arrived and were essentially one of two parties of two until much later in the evening. Our server, Tiffany, was prompt and attentive, repouring our wine as our glasses emptied through the meal. We gave the beet salad, garlic soup and scallops high marks. We sat at a table near the window which was wonderful for people watching despite the raw spring weather. Regretfully, we could not enjoy dessert options because they were all flour-centric. It would be lovely to have some inspired options for those with food intolerances, such as bananas foster with coconut ice cream or escalloped apples for those living a grain-free life. The ladies room was clean and spacious, and the bar area looked like it could be fun later in the evening. Overall this was a very positive experience. If I were not a somewhat jaded business traveler, this might have been 5 stars, but these days it takes a lot to knock my socks off. This was our second time there. It is absolutely amazing. Could die happy after eating here. We had a very pleasant experience from the wine to the dessert. Our server, Dan, was polite and helpful without choices and we enjoyed every part of our visit. We will certainly be returning! This is an excellent restaurant in a great location! An excellent meal at an under-rated restaurant. Always a nice crowd. Group of friends went to see Rent. I've been to Bacchus quite a few times and have never been disappointed. We unfortunately went this with cutting it close to our play, so we were in a rush. Our dinner was delayed but the waiter was excellent and said the manager would cover our $40 bottle of wine. This was mostly our fault for not giving ourselves more time. I would definitively recommend this restaurant and will go back!!! Shared the tuna tartar, cheese platter, mushroom ravioli and then toffee cake with coffee for dessert. 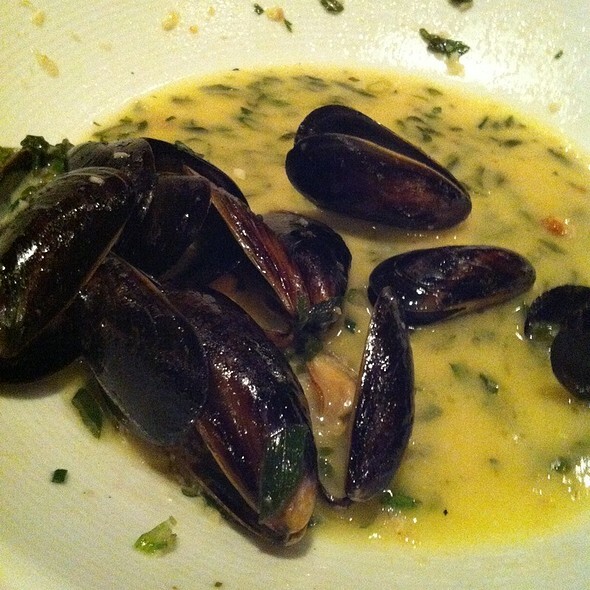 The service was fantastic and only surpassed by the quality of the food. 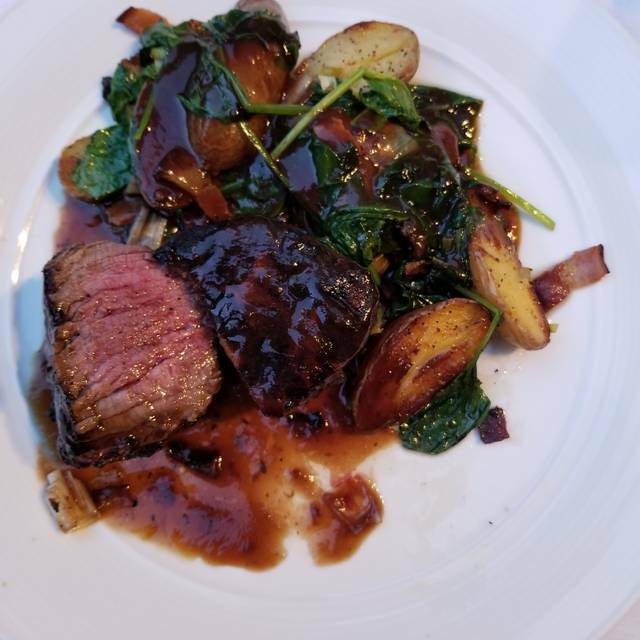 Excellent service, wonderfully relaxing atmosphere and fabulously prepared delicious food. One of the best meals we’ve had I. Awhile with fantastic service and a great location in the theatre district. Will be back without a doubt. Great food,great service and warm and cozy atmosphere. Prices were good. The food was absolutely amazing. It was difficult to make a selection because everything on the menu sounded fantastic. I had the boulliabase which was so flavorful and tasty! Definitely will be going back. Loved that there was valet parking. Excellent meal — good food and service. 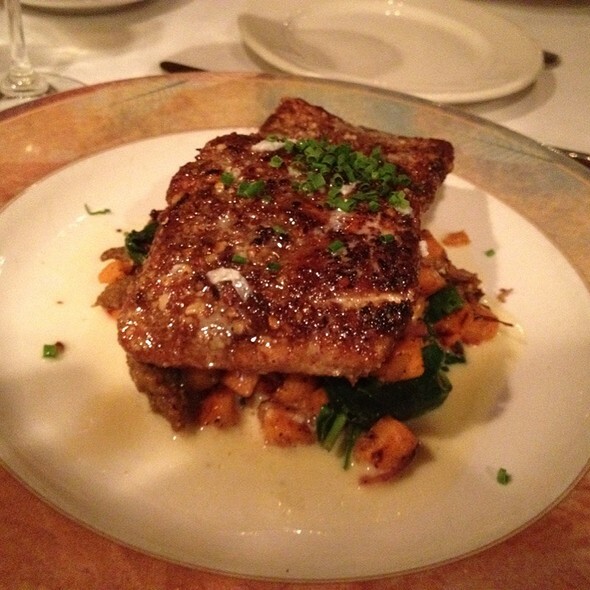 Eating at Bacchus is always extra-special! Server was very pleasant. Food was excellent. Prices seemed a bit high. The only detail I didn’t love is that some of the tables were too close to others. This appeared to only be the case in the particular area where we were seated. Excellent food. Excellent wine. Excellent atmosphere. Excellent menu, service, atmosphere. Great location near Shea's. Valet Parking is a plus! Some of the most delicious food I've ever had. Try the ravioli. You must have the toffee cake. Excellent food, excellent service!! The salmon is amazing. The only thing I didn’t love is the sticky toffee cake dessert (dry). Dinner and Miss Saigon at Shea’s. A wonderful dinner, excellent food and service, comfortable pace to enjoy our meal and make opening curtain. We had a wonderful evening. Our waiter was great - very attentive. Food was wonderful including the presentation. The wine list was special. Would go back again. It was my wife’s birthday and made reservations and ask for cozy table. The table we were seated was the best table in the restaurant. Service was fantastic who acknowledged our special occasion. The food was amazing. The dinner was a memorable experience. 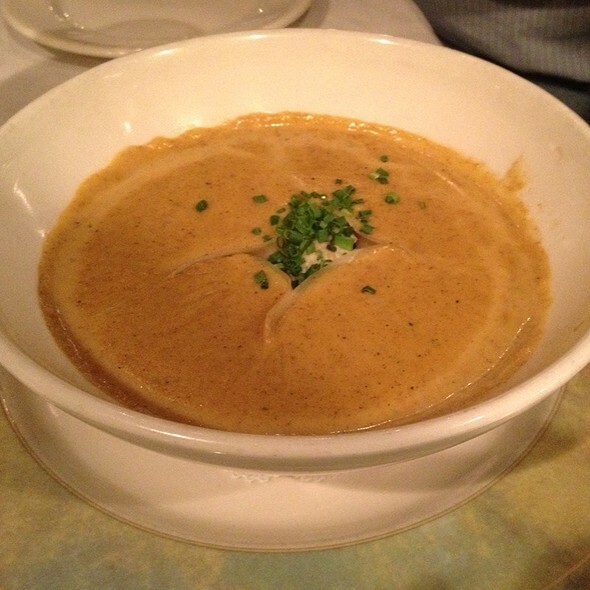 We had several delightful dishes including a cauliflower bisque served over fried onion which was out of this world. The iceberg wedge BLT salad was perfectly constructed with crisp lettuce and bacon and tasty tomatoes. The scallops over polenta was a small plate which was enough for a main course. The wine list was great including the "by the glass" selection. The wait staff was very friendly and accommodating. In all it was a fun evening with time and space to enjoy the excellent food. 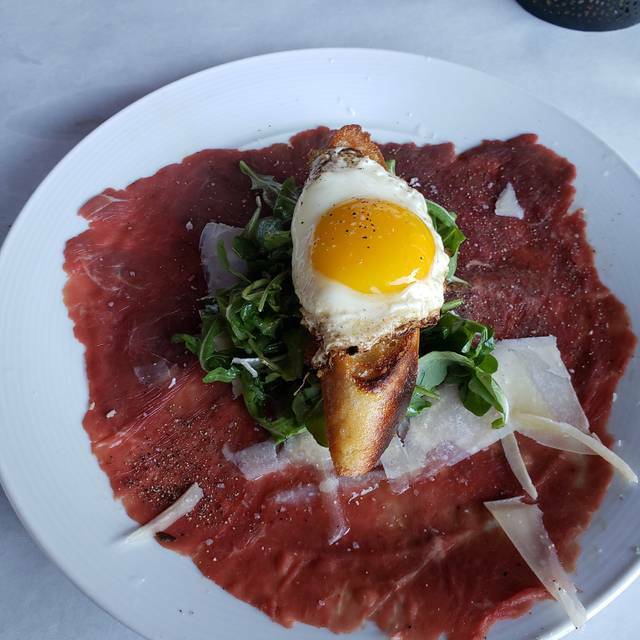 We had a great experience for our first time at Bacchus Wine Bar. The service and food were excellent. The only recommendation we have is to make a Bourbon list. The server was unable to provide a complete list of options when requested. Great wine, cozy/romantic atmosphere, and the pricing was fair considering the type of food/quality and a finer dining experience.